Twist ethical bridal set in recycled sterling silver & lab grown moissanite. 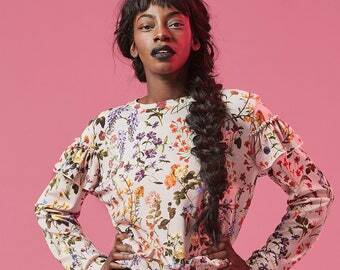 Textured. Engagement ring. Wedding ring. Hand made UK. 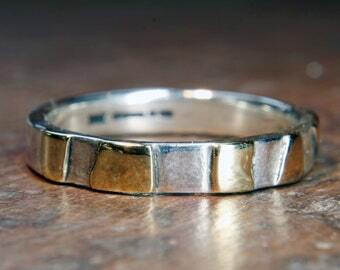 Ethical hammered wedding ring set. Hand made in the UK. Recycled silver or gold. 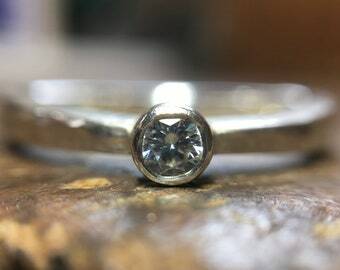 Lab grown moissanite. Textured gothic spiral design. 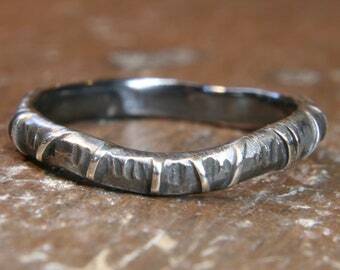 Recycled sterling silver wide wedding ring. 6, 8 or 10mm. Heavy planished finish. Hand made in the UK. Announcement Thank you for visiting my shop! All of my jewellery is made by hand (by me!) in my workshop in the Malvern Hills, UK, using traditional tools and techniques. I make every single piece of my jewellery individually rather than casting 100's of the same from a master so you can be sure you are getting something that is truly "handmade" and unique. I’m usually pretty busy and because there is only one of me, delivery times may vary depending on my current work load, but I always aim to work to a 4 week lead time. If you need something sooner, that can sometimes be accommodated but please always check first. I am a highly trained gold and silversmith with over 20 years experience of designing and making jewellery. 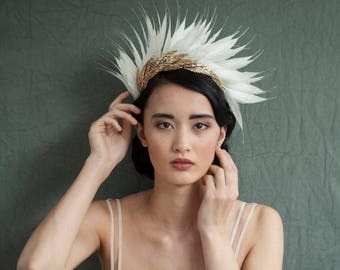 In 2000 I gained a BA(Hons) in Jewellery and Silversmithing from the prestigious Birmingham School of Jewellery and have continued to refine both my design and technical skills over the course of my career. I now specialise in remodelling old jewellery and creating bespoke wedding and engagement rings. Every piece that I make will always be carefully boxed and wrapped. Theo Paphitis "Small Business Sunday" #SBS Award Winner! Thank you for visiting my shop! All of my jewellery is made by hand (by me!) in my workshop in the Malvern Hills, UK, using traditional tools and techniques. Pair of “Multi-texture” Walk On The Hills 9ct white gold wedding rings. 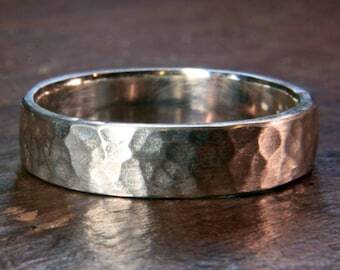 Hand forged 2mm thin wedding ring. Textured fine hammer finish. Silver, white gold, palladium, platinum, recycled, fairtrade. Made in UK. Unusual and unique engagement ring. Fairtrade or recycled yellow and white gold, ethically sourced pear grape garnet. Made in England. 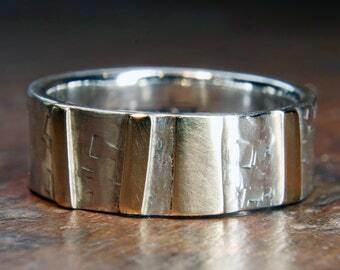 Recycled sterling silver 5mm wide wedding ring. Heavy planished finish. Hand made in the UK. Walk On The Hills "Multi-Textured" hammered man's wedding ring. 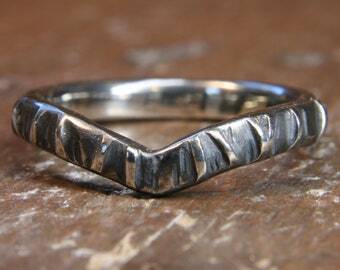 Ethical recycled sterling silver. Hand made in the UK. 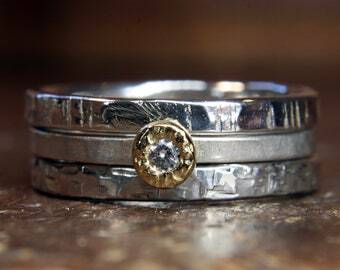 18 carat recycled yellow gold 6mm and 2mm wide hammered wedding rings. Matching unisex or his and hers. Hand made in the UK. 6mm "Woodland" ring. Recycled sterling silver & 9ct or 18ct gold. Hand made in the UK. 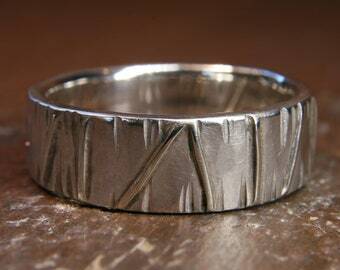 3mm "Woodland" ring. Recycled sterling silver & 9ct or 18ct gold. Hand made in the UK. 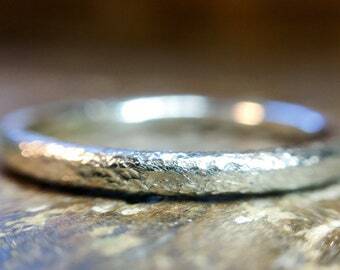 Recycled sterling silver 4mm wide wedding ring. Heavy planished finish. Hand made in the UK. 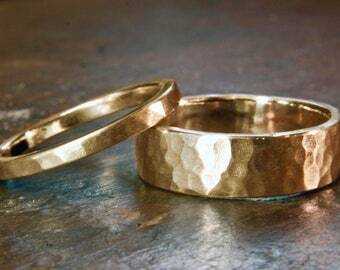 9ct recycled gold 6mm and 2mm wide hammered wedding rings. Matching unisex or his and hers. Hand made in the UK. 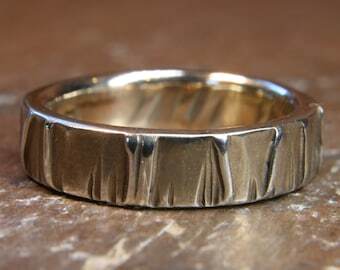 Set of Walk On The Hills "Multi-Textured" hammered wedding rings. Ethical recycled sterling silver, moissanite, Hand made in the UK. Walk On The Hills "Multi-Textured" ladies wedding ring. 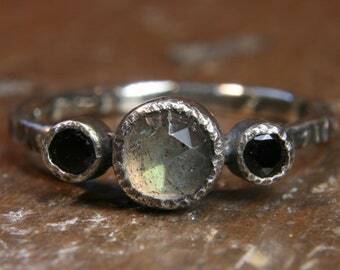 Recycled sterling silver & ethical lab grown moissanite. Hand made in the UK. Drawings for bespoke wedding or engagement ring. Christmas lucky dip! Handmade sterling silver necklace, earrings, bracelet or bangle. A bespoke version of my Walk On The Hills ring set. Made in a narrower gauge of 9ct white gold somas not to cause the wearer any sensory issues. Walk On The Hills curvy linking two ring set. 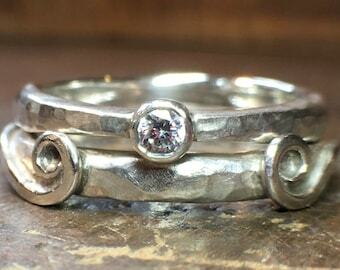 Recycled sterling silver. Hand made in the UK. 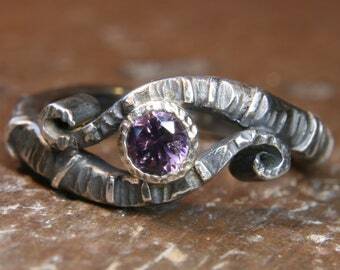 Bespoke ring hand made in palladium, 18ct gold, lab grown diamond & fair trade amethyst. A recent photo of me in my workshop. Hand made with love, half way up a hill in the middle of the UK! Born in Birmingham and a graduate of the prestigious Birmingham School of Jewellery, in 2010, I moved to the countryside, to beautiful Malvern, and I absolutely love it here! The magical hills and woodlands that I can see from my window are constantly changing with the seasons and are always a big influence on my designs. My interest in all things arty however, isn't something that I've discovered since leaving the city. This started at a very early age, when even at primary school, I would often tell my teachers that I was going to be an artist when I grew up! I'm not sure they took me all that seriously at age 5 but I continued to follow this dream all the way through school, taking up residence in the art room and producing numerous drawings, paintings and three dimensional masterpieces! At age 16, my parents took me to a careers fair, probably hoping that I'd see sense and choose a proper job, but here I discovered that I could study for a degree in Jewellery and Silversmithing, and from this point on, I decided that this was going to be my chosen path. On completion of my degree, I studied for a Post Graduate Certificate in Education and taught Art and Design & Technology full time for several years before finally making the decision to set up as a designer/maker in 2006. My business has evolved naturally over the last few years, and following a couple of breaks to have babies, I now find myself becoming an established gold and silversmith, and am able to specialise in designing and making unique one-off pieces. My passion for nature and the environment is a constant influence on both my life and my business and wherever possible I work in recycled gold and silver, always using ethically sourced metals and stones. Everything I make is done so using traditional hand tools and techinques, and I'm always looking for new ways to keep my business as "green" as possible. Recently these have included switching to green energy and joining my local car share scheme. Finally, well done for reading to the end of this. 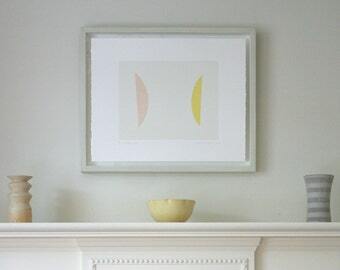 I hope you enjoy browsing my Etsy Shop. Anna lives and works in the beautiful Malvern Hills, UK and designs and makes fine jewellery (jewelry) using traditional tools and techniques. Anna is passionate about the environment and so this is a constant influence on both her life and work. I may ask for your contact details including name, billing address, shipping address, email address, telephone number, wedding date and any other relevant information. I use the information that you give me to give advice, produce designs for a commission or post your order to the correct address. If you have consented to be on my mailing list, I may occasionally (approximately once a month, but sometimes more often if I have something really important to tell you) send you my email newsletter and/or other relevant information that I feel may be of interest. I would never sell any of your data to third parties, but I do sometimes need to share some of it with shipping companies such as Royal Mail or DHL otherwise, I wouldn’t be able to send your order to you. 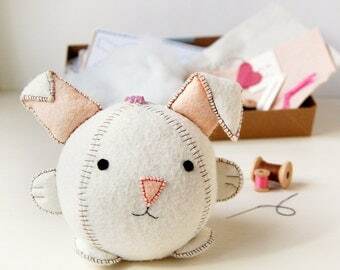 Payments are all processed via Etsy (GDPR compliant) or Paypal (working on it, but as they are a massive company, I expect that they will be very very soon). I use FreeAgent, who are GDPR compliant, to help me do my accounts, tax return and to create and send you invoices. I use a few different companies to help you find out that I exist, so you may have shared your information with them in order for it to be passed onto me. * Squarespace - This is who I use to make my website, and all of the contact forms embedded within it. * Mailchimp - This is who I use (along with half of the world) to look after my mailing lists and to write my newsletters and marketing emails. 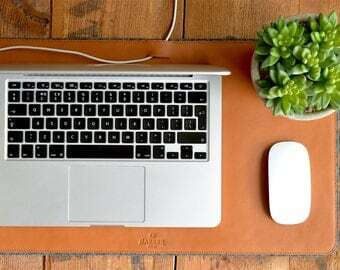 * Etsy - This is who I use to run my online shop. I’m very careful not to leave my actual email address lying around all over the internet as I don’t want to be bombarded with email from robots (I find that they have really spindly fingers that rings just won’t stay on! ), but once we have made initial contact through my website this is usually the method by which I will continue our conversation. My emails travel backwards and forwards via Gmail, Apple Icloud, and Crazy Domains (who host my domain names and email forwarding addresses). I often share photos of what I have made on social media but would never share any identifying information about who a piece belongs to without prior consent. If you (or others) identify yourself in the comments then that is your own choice. Since buying my shiny new iPad Pro, I have very little need to store anything on paper. This means that any data that I do have about you, will be safely stored in iCloud, or in one of the companies that I have already mentioned above. I’m lucky enough to have my very own “live-in” internet security advisor, in the form of my wonderful partner, who makes his living from helping people out with their Apple devices. He keeps a close eye on my computer and advises me on the best ways to make sure that no nasty viruses or spyware can get in and see any of your data. All of the various companies that I use in order that I can run my business are very well known and trusted and are either already, or (in PayPal’s case) are working towards being GDPR compliant. I will only keep your data for as long as is legally necessary. After this time I will do my best to delete it. I respect your privacy rights and understand that you have the right to request to have any data that I hold on you deleted. If you would like me to do this then please contact me via the form on this website and I will do my very best to remove everything that isn’t needed by HMRC in order to complete my tax return. If you have given your data to Etsy, Paypal or have commented via social media, then you will need to delete that yourself.